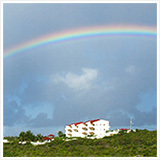 Closed But Not Forgotten (Anguilla-Beaches.com Archives)... Why Knot was one of our favorite Anguilla shops. 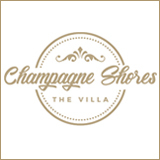 It is with great saddness that we announce its closing, but alas, it is not a story of saddness! It is one of fate and joy. Fabiana, the creative mind behind Why Knot, has fallen in love and moved to Dominica with her husband, Boots. Here's wishing you great happiness and success, Fabiana. You are missed! Note: You can STILL purchase Fabiana's creations at ZaZAA Boutique in West End. 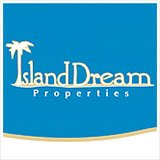 Why knot melt away on the most beautiful beaches in the Caribbean? 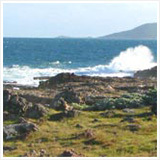 Why knot dine on some of the finest cuisine in the world? 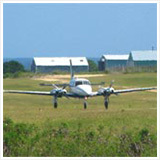 Why knot sip rum punches all afternoon and take a boat trip to Little Bay? 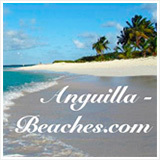 And why knot find the most classic Anguilla souvenir to remember it all? 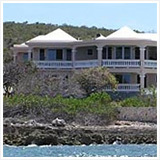 Fabiana Liburd's first visit to Anguilla was in 1999. She was born in St. Kitts, and went to school in Canada. 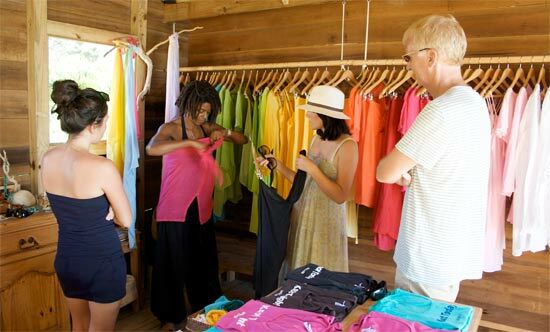 She is the owner and creator of "Why Knot," one of Anguilla's top shops for a unique piece of clothing, perfect for the local climate. 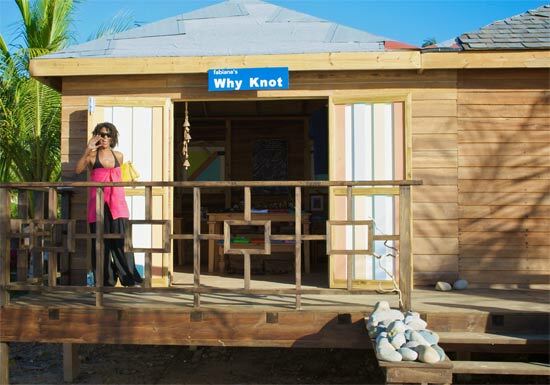 Fabiana opened "Why Knot," first as a makeshift shop found "under the Tamarind tree" in Crocus Bay. From there she spent many successful years with her shop in West End. Today, she can be found at da'Vida. We dropped in after a delightful lunch on the beach and finally met the wonderful Fabiana and saw her beautiful designs. 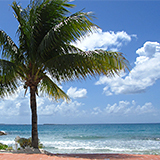 Fabiana's designs are perfect for the Caribbean! 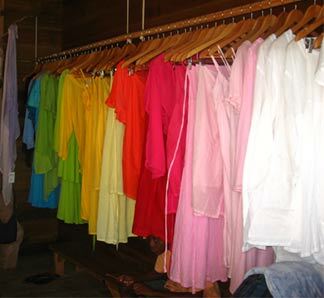 Why Knot features Fabiana's casual dresses, tunics and tops made out of a light Indian cotton, captured in every color of the rainbow. 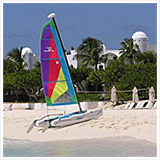 The light weight material is ideal for that tropical Anguilla weather under the sun! Why Knot also carries cotton t-shirts, sandals, and some pretty funky jewelry. 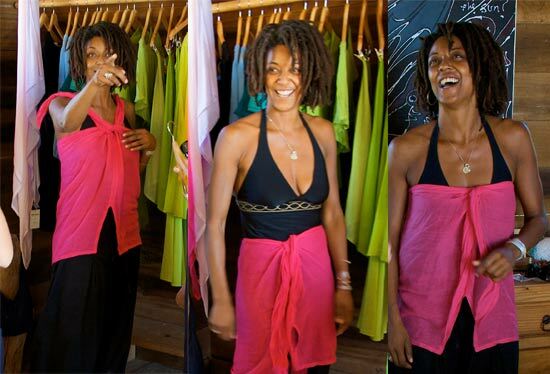 Fabiana's classic wrap comes in so many fun colors (orange, fuschia, pink, red, blue, green, and on!). And, surely, it is a piece that you will never get tired of. Yuki and I fell in love! The design, the color, the material. Now I'm thinking, "Which color next?" 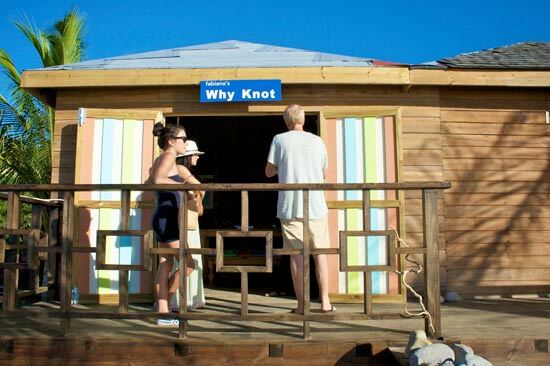 Why Knot is truly a unique shop with the perfect Anguilla souvenir. You don't have to wait to enjoy this souvenir from home either. The wrap is so comfortable, and fits so well (coming in two different sizes). 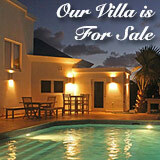 I try to wear it day in and day out in Anguilla! 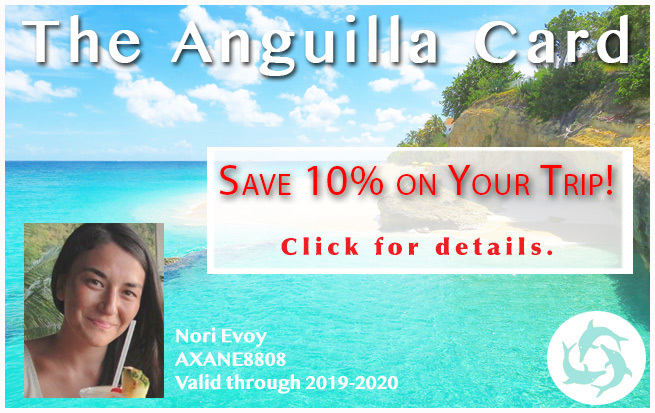 Of course, wearing it everywhere, filling it with memories, makes it all that more special and memorable when I'm far away from Anguilla, back home knee deep in snow. As you would have guessed, the creator of this perfect souvenir is a unique character! But, it was the end of the day and her kids needed to get home, and we wanted to try da'Vida's sea kayaks before the sun set. Before we parted ways, she pointed out the view from her desk. Could you ever get tired of sitting right on Crocus Bay's sandy shores? See You Next Time, Fabiana!